A security researcher has discovered multiple one-click client-side vulnerabilities in the some of the world's most popular and widely-used web hosting companies that could have put millions of their customers as well as billions of their sites' visitors at risk of hacking. "They mostly focus on protecting the wrong assets, but most of them have medium security standards for their user profile portals and data exfiltration vulnerability classes. Most of their protections are easily bypassable using lesser-known tricks," Yibelo told The Hacker News. 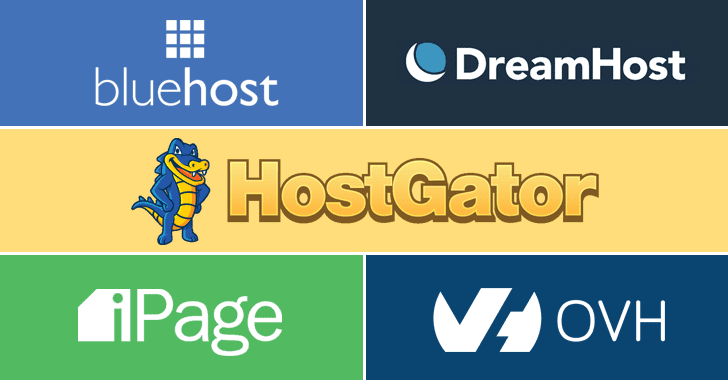 Among the affected hosting companies, Yibelo found Bluehost, HostGator and iPage to be the easiest ones to hack into, though he told The Hacker News that HostGator included "multiple layers of security checks (that can be bypassed, but they are there, unlike the other sites)." Yibelo reported his findings to the affected web hosting providers, all except OVH patched their services before the information went public yesterday. OVH has yet to confirm and response on the researcher's findings.